PRICES: Please refer to our Rates and Reservations page for our base rates which cover accommodations and meals. 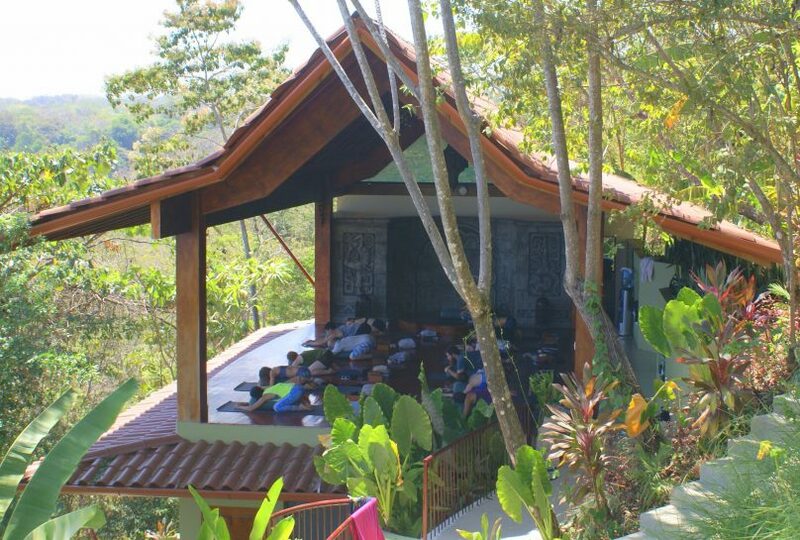 PACKAGES: We have a number of Yoga Retreat Packages to choose from. Yoga & Adventure, Yoga & Surfing, Yoga & Rejuvenation, and Pure Yoga. Please see our Yoga Retreat Packages (ARP’s) for more details. Or for those who are not totally into yoga, there’s no need to choose a yoga package at all – you can book all your activities and excursions A La Carte. We call it the Relaxation Retreat. WORKSHOPS: We are excited to offer our guests a 3-part JourneyWork Workshop this week. This Workshop is tailored to assist your physical, mental, emotional, and spiritual bodies in synchronizing. This is not included in your yoga package. The price is $110. Please see more details below. Kate Wrightson is an international yoga instructor, corrective exercise specialist, JourneyWork Therapeutic Practitioner, Reiki Master, aerialist, and writer in order to positively empower and impact her greater community to understand and find ease and happiness within themselves. 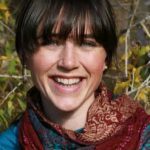 Having overcome many neurological struggles and significant spinal injuries, Kate shares her passion for helping others to find opportunity and pleasure in life through workshops, retreats and Live Beyond Limit, her yoga, aerial, and wellness studio based out of Fort Collins, Colorado. Her teaching style and lifestyle strives to create a safe and open environment for individuals to tap into and truly embrace their true nature, a sense of deep connection, and experience a complete syncing in mind, body, and spirit both on and off of the mat. In order to bring these skill sets to those in need she has focused her specialties to include pain management, spinal stability, hip stability, neurological disorders, energetic balancing, mood balancing, shamanic journeywork, yoga therapy, meditation, and biomechanics. When she’s not teaching, she’s indulging in her own personal practice, circus arts and performance, the great outdoors, her lovely pups and the company and conversation of her loved ones. Kate fell into yoga through injury and pain. 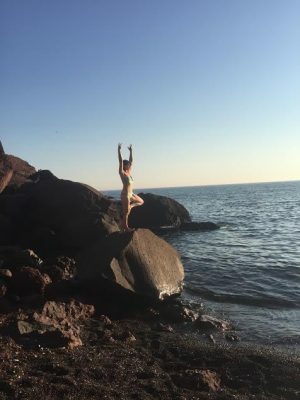 Her initial experiences with moving meditation in yoga helped her move from a debilitated state at the top of her pain threshold to a functioning and productive individual. Through her early years of practice in various styles and traditions, her personal philosophy is most in alignment with the Tantric philosophy and tradition with influences from sports medicine, Reiki, and Ayurveda in order to fully support, honor, and uplift her students and self. Her practices are intentionally designed for the particular energetic state of the class present in reference to the doshas and natural rhythms, with ample modification to assist individuals in tapping deeply into their most authentic expression, voice, and truth through the practice. Her goals are to help you clear and direct your mind so when the mind remembers how to connect with the spirit, life and the practice of yoga unfold with ease and ample support. Her philosophy is to radically love and accept yourself as you are in order to fully embrace and shape the experiences to come through practice, knowledge, and persistence. Individuals working with Kate will learn how to physically, mentally, and spiritually connect to their experiences through breath, awareness, mantra, meditation, and asana within an energetically clear and resonant environment. 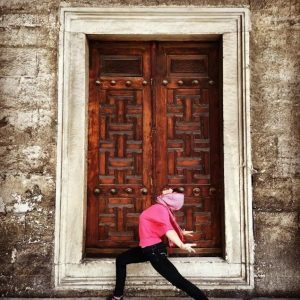 The JourneyWork Workshops are designed to fully support you in opening to greater experience, ease, and opportunity through movement, meditation, shamanic and panic JourneyWork, sound therapy, energetic balancing, and ancient ceremony. These practices are tailored to assist your physical, mental, emotional, and spiritual bodies in synchronizing. JourneyWork provides a safe, open, accepting and honourable space to fully explore past, present, and future experiences and focuses in order to synchronize with yourself to relieve physical, mental, emotional, and spiritual tension in your life. Due to the power of sound and its ability to shift genetic expression, the workshop will bathe you in chakra balancing, cellular attuning, and liberating sound waves in the presence of different colour hews to clarify the auric field to assist release of disease within the body. Beginning with ancient intentional ceremony, individuals will then dive into loosely based asana movement to warm and balance the physical being before entering into a deep sound immersion accompanying the shamanic journey and breath work. Towards the end, participants will assimilate their experiences in artistic or written form before closing the circle and workshop. This is a 3-part workshop journey, but individual drop-ins are available. Begin with gentle movement to physically open the body, then dive down into a 90 minute sound, breath, and energetic Savasana Meditation to energetically clear, awaken, and natural rhythms in your body. Dive into lifestyle management for YOUR lifestyle. This discussion and lecture will utilize yogic philosophy, motivation and accountability techniques, the energetic system anatomy and physiology, the Natural Laws, and powerful intentional creation to aid participants in fabricating the lifestyle and optimized state of health for their individual lives and goals. Kate will assist you in magnifying and current efforts, releasing any patterns or habits that aren’t serving you, and adapting the habits and patterns that make you YOU. Please have a journal, pen or pencil and any artistic tools (colored pencils, markers, chalks, pastels, sketch pads, etc) you desire for your intentional creative expression. If you don’t have these tools – Kate has a plethora that will be provided. Begin with gentle movement to physically open the body to the energies you’re ready to feel and embrace. Enjoy guided meditation to call forth your own creative forces to truly embrace your present and future self and capacity. Finish with a sound, breath, and energetic Savasana Meditation to fully envelop yourself in making the shifts in your life to support your ability to create with ease and comfort. Finalize the ceremony with creative integration, journaling, and a closing ceremony.